Wrap around the enemy pet, dealing 591 Aquatic damage. Slows the enemy's active pet by 50% for 2 rounds. Rep is not needed. Just checked. Could someone please post the requirements to get this pet vendor to sell pets? It would seem that no WoW fansite or anything have that info. What rep do you need for this one? Just bought this on my alliance toon and the Base quality is rare. It is Shown as Uncommon from the vendor but when you lear it is rare. 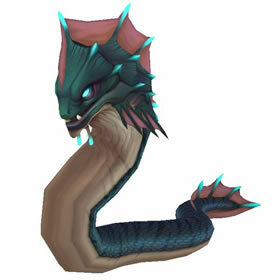 When the Naga invaded Stormsong, they brought their favored pets: Abyssal Eels.